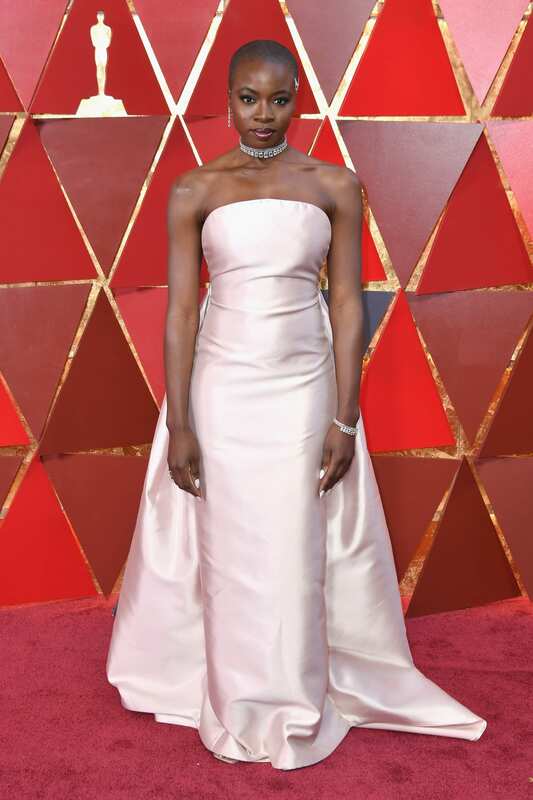 If you’ve been keeping tabs on this year’s awards season, leading up to the main event on Feb. 24, the 91st Academy Awards, you’ve probably seen Danai Gurira and her “Black Panther” co-stars gracing the red carpets and stages of the Golden Globes, and, most recently, the Screen Actor’s Guild Awards, where they took home the evening’s top honor, the award for Outstanding Performance by a Cast in a Motion Picture. 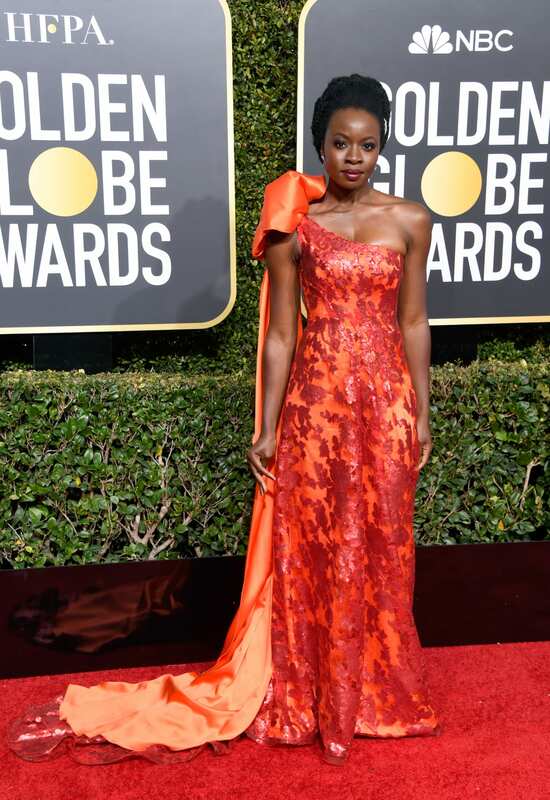 In addition to her brilliant portrayal as the powerful warrior Okoye in Marvel’s “Black Panther,” which is nominated for six Oscars this year, including Best Picture, and “Avengers: Infinity War,” Gurira has also wowed audiences as Michonne on AMC’s hit series,”The Walking Dead.” But, while you may know Gurira as an on-screen powerhouse (and an OBIE, Helen Hayes and NAACP Award-winner), you may not know that she’s also a supremely talented playwright with a fascinating backstory. My parents are educators. My father’s a professor; my mother is a university librarian. So I was born in a tiny college town, Grinnell [Iowa]. I moved [to Zimbabwe] at age five. And was raised there till I was 19. My mother was almost arrested the day before she came here for college because she was going to go into the whites-only restroom in what is now Harare. A white lady cop said, “If you go in there, I’m gonna arrest you.” My mom sat there and debated about her bladder and her dignity and the rest of her life. And she chose to not go in. But those are the memories that people like my mother have of living in her own country. When I was about 13 or so this children’s performance arts workshop was created by my friend’s dad who wanted to train children in the arts. So that really connected me to the craft and a reverence around it. It was something you came on time for, something you gave your all to. You warmed up, you didn’t chew gum — he hated that. And then we also got to create pieces of work and perform them in various parts of Zimbabwe—learn traditional dance and things about our heritage that were often not taught in our very neo-colonial schooling system. In college, I started to look at social psychology, which I was really interested in. And advocacy in terms of how [one] creates facts and relates issues in such an empirical fashion that no one can argue its veracity. I was interested in Brown vs. the Board of Education. What evidence caused that shift? And the idea … of how a society gets affected by a system that’s oppressive and then causes certain psychological mindsets that perpetuate the issue. But then I came to this point … I was craving the play like crazy … And I was like, wait a minute. I want to be a thespian. I went to South Africa for a study abroad semester … And I met all these artists who had used their craft to affect the end of apartheid. Much at the risk of their own lives and safety and the lives of their families. And that just hit me and it became really clear while I was in South Africa that I needed to stop lying to myself about my passion. There are no “just there” characters in my plays … I care about these people. I never write anything for an actor where I don’t love the character and I’m not thinking about them in a full arced way. Everyone has to have an arc. No one just comes on and picks up a table and leaves or whatever. Everyone has to have a full experience. Otherwise what’s the point? You just know you need to do more. That’s how I created Almasi. I just knew I needed to do more. I go home, I do certain little projects and things, but there was a systemic issue that needed to be addressed. I had the benefit of being American born. So I could go back and work and go to school and enjoy the benefits of being an American citizen. And I’d go home to Zim and I’d see a lot of folks who were probably far more talented than I but did not have the access or the opportunities that I have. And the reason I called it Almasi Collaborative Arts was I wanted to collaborate between the African artist and the American artist. They both have a lot to learn from each other. There’s a great opportunity to nurture global citizenship, but also to give opportunities and access to the Zimbabwean artist. Being an artist [in Zimbabwe] … sometimes there’s no dignity in it. Because there’s no aspect where you can actually earn an income or function in a professional sense. So my attempt at actually navigating that and contributing to that was Almasi Arts and it has allowed for some of our artists to come here. There are so many amazing artists who want that systemic assistance and are ready to give their all to this craft. It’s a lot of work. And we’re doing what we can as well as we can. There’s just a lot more to get done. But that’s a burden on my heart that I think makes sense in the sense that I’m an artist and I want to see African artists’ voices come through as well. It can’t just be mine … There are many, many, many, many stories I could never tell. I was born on Valentine’s Day and I don’t understand that holiday at all. So I said, well, if we just loved on women and girls, if we just simply did that, could all these things still be happening to women and girls across the world? Honestly? Could all this discrimination and all of this violence and so many things that curb our potential, could it still happen if we just loved on women and girls? Every 14th of the month I feature an organization, people, sheroes across the globe who are affecting change and we should celebrate. And I feel like women are so empowered when they know about other women doing great things. They realize that strength is within themselves. I function from the premise to whom much is given, much is expected. And so I have to. 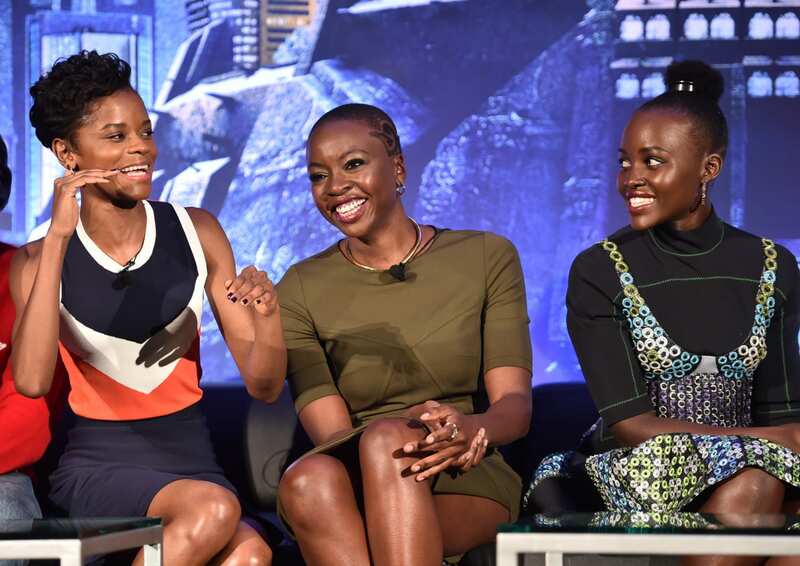 Love Our Girls: Join Danai Gurira on her quest to inspire others to become changemakers. Take the pledge to #LOVEOURGIRLS and help garner support and raise awareness for women and girls around the world who face injustice. Support Almasi Collaborative Arts: Help nurture the Zimbabwean dramatic arts community, playwrights and directors by donating to Almasi Collaborative Arts. Support Steppenwolf: Steppenwolf’s 10th Anniversary Women in the Arts Luncheon raised $200,000 for Steppenwolf’s educational and professional development programs. Want to get involved or learn more? There are many ways to support Steppenwolf and plenty of opportunities to catch some of the best theater in Chicago. Check out Steppenwolf’s 2019 upcoming productions, and reserve your spot at Steppenwolf’s 2019 gala on May 11. Originally published on Make It Better.